Please do not tell me you are SORRY my son has Autism! The phone rings. I don’t recognize the number but pick it up anyway. The woman with the southern accident on the other end tells me how she is not a solicitor. She thanks me for my recent contribution to the children’s hospital. She tells me what my measly $15 will do. I feel guilty that I did not give more but I just don’t have it to give. She talks about what they can do with more money. I listen not wanting to be rude. Besides I am thinking of a nice way to tell her no, a word I have a hard time with. Finally she pauses. I realize I have not really been listening and I am not sure what she has just asked me. The woman repeats herself. “We need your help. Just think what your money can do. We need money for medical expenses, equipment and treatments until they can find cures for childhood diseases. Can you image if your child had Cancer, AIDS or AUTISM!” My heart stops. Did she just lump Autism into the same group as Cancer and AIDS? Perhaps I did not hear right. Yes that is it I was not hearing right. I don’t remember what she said after that because my blood pressure started rising and my head started spinning. The words just came out, and I must admit they were not soft or polite. ” Why?” I asked her. 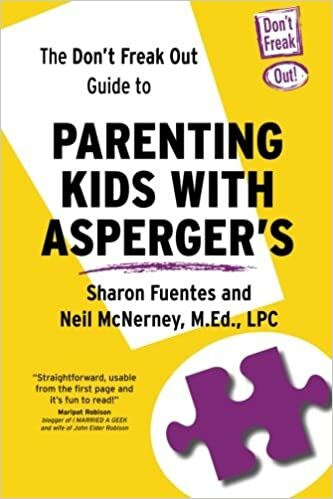 She very confusedly replied, “excuse me?” “Why are you sorry for me that my son has autism?” I could almost hear the pages turning of her book as if she would find the answers to what this crazy woman on the other end was saying inside her sales manual. “I am not sorry!” I continued. “Autism is a disorder not a disease. It’s an adjective in our home. Something that helps describe my boy not define him. Are you sorry he has brown hair? Are you sorry he is right-handed?” The line grew quiet. I knew it was not fair to do this to her but I was having a day and well she called at the wrong time. She called right after my boy had just finally calmed down from a doozie of a meltdown. She rang my house after an hour of screaming and tears and flapping. She phoned after 60 minutes of me feeling helpless about not being able to make things better for my boy. But throughout the entire episode… not once did I feel SORRY for my boy. Sorry is what you say when someone passes away or you are trying to right a wrongdoing. There is nothing WRONG with my boy and he is very much ALIVE! Sure I hate seeing him hurt. Yes I wished I had the tools to make it better when he does. But I don’t pity my boy or look down on him or his Autism as if they make him any less a person. And if I, his mother, the person who would do anything for him , the woman who physically hurts when he does… if I do not feel sorry for him, well I will be damned if I was about to let this CALLER do it! “I am sorry!” But this time she said it as a way of righting a wrong doing not because she grieved for my boy! And then without a further word we both hung up. And I cried! People often look at me funny and wonder why I do what I do. This is why. This is why I push and I talk and I write and I do whatever I can. So that one day when I say my boy has brown hair and hazel eyes is right-handed and has autism… I will not hear… I’m SORRY! This. This is true. This is good. This is something more people need to hear. And then I notice Autism Speaks in the blogroll. They’re the original source of the comparison of autism to AIDS, cancer, and muscular dystrophy, just so you know. That’s from them. They like the tragedy model. You are so right. Autism is Not a disease it is different way of dealing with life. I feel your pain. Also happy there is help and more understanding then when my son was young. With lots of pray, support from my great husband ,good caring teachers and close friends we made it. He is now 41 has a very special wife who understands him and is very happy and on his second career as a Brew Master. His first was an RN OR supervisor of a large hospital. I loved this article. My oldest daughter has Aspergers and I can’t tell you the number of times I got the ‘I’m sorry’ from strangers or people who don’t know me or my family. I too love my daughter and am constantly amazed at how she looks at the world. She has helped me grow as a person in so many ways. Autism is not a disease like Cancer or Aids – it doesn’t mean the end of a life. Thanks for this great post! Wonderful post. And I’m sorry… but not that your son has autism. I’m sorry you have to deal with so many ignorant, insensitive people in the world. But you seem like a real strong woman and a wonderful mother. Keep speaking your mind!